Bagging discounts on Black Friday and Cyber Monday has become a yearly ritual for many of us. The roots go back to the early 20th century – a folk belief is that it is the day retailers go “into the black” after running at a loss for the year. In reality the term was first connected with the day after Thanksgiving as a comment on the nightmarish congestion generated by the crowds in Philadelphia. In the 1980s sports games gave way to shopping as the public’s favourite post-Thanksgiving pastime. Cyber Monday arose in the mid-noughties when marketers realised that workers returning to the office following Thanksgiving breaks were making use of high-speed internet connections to shop online bargains. 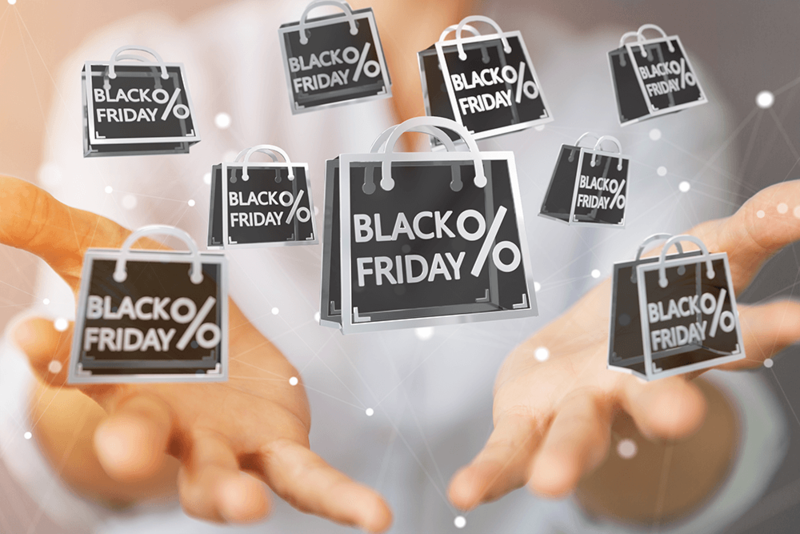 As with Black Friday it has become an online battleground between retailers keen to leverage whatever technological edge is available, to grab as big a slice of the pie as they can. In today’s climate, this increasingly means Artificial Intelligence (AI) – specifically machine learning powered by big data – and this has altered the playing field dramatically. In retail, this technology has two main uses – predicting demand and personalising services. Traditionally, retailers used Black Friday as a means of shifting stock which hadn’t sold during the year, at a reduced price. Thanks to the huge increase in the amount of data which we generate, and which retailers can capture and analyse, today it’s possible for them to predict what we will spend our money on with greater accuracy than ever before. This means that pricing, inventory and distribution can all be managed more efficiently, with global retailers such as Amazon and Alibaba able to stock distribution centres according to regional buying habits. The overall savings on transportation when they discover that, say, there is a low demand for ice in Alaska over the holiday period, leads to overall reduced operational costs and eventually lower cost to the consumer. That’s a trite example of course, and in reality today’s sophisticated machine learning engines are built around artificial neural networks designed to mimic the learning process of the human brain. After all, it’s the most capable information processor known to exist and is capable of finding far more subtle signals and relationships. AI – of which machine learning is the current state-of-the-art – seeks to augmentour classification-based learning system, honed through millions of years of evolution, with the perfect recall, lightning speed and infallible logic of a computer. The reason that effective classification is so important to the process is that it allows computers to examine the underlying connections between different, but similar “objects” – be they groceries or humans. Our human brains intrinsically know that an apple is in some way similar to a pear. If we want to sell pears, and someone comes to us looking for apples, then if the price is right we might be able to get them to have pears instead. We also intrinsically know what factors might be important in swaying this decision – how attached to apples is he, exactly? Has he tried pears in the past? And what sort of money is he comfortable spending, to get his fruit fix? A good shopkeeper and salesman might be able to run their business by making assessments like this as customers come into a little shop, one by one. But what if 100,000 of them are turning up at his online store every hour? That’s when the speed and capacity for repetition of machine learning systems comes in very handy. Retail in the online age has long been driven by recommendation engines as deployed originally by Amazon and now by just about everyone selling online. Originally limited to predicting what a customer might buy next by analysing their past shopping habits nowadays data from a wide variety of third party sources is often thrown into the mix. Those “You might also like …” suggestions are powered not just by your previous purchases, but by what the retailer knows about your age, location, preferences, lifestyle choices and family life. Recommendation engines earn back the money they cost to develop, by putting the right product in front of the right customer at the right time – such as Black Friday, for example, when, according to research by Adthena, traffic to online retailers is up by 220% compared to an average day. These days, a large portion of retailers’ advertising budget goes on pay-per-click online advertising, on sites such as Google and Facebook. The reason that Tesco or Walmart spend so much on these channels is the sophisticated machine learning algorithms which have been developed by both companies (as well as many others – not just giants but clever startups too). PPC advertising spending skyrockets around Black Friday and Cyber Monday as retailers increase the amount they are prepared to pay per-click, as they know visitors will be more likely to spend money than on any other day of the year. Last year, fashion retailer River Island attributed an 82% in Black Friday sales to a campaign driven by real-time sales data which allowed them to use a live dashboard to optimise their keyword strategy as the discount period played out. Black Friday is a modern-day phenomenon which has now spread around the world. Thanks to the popularity of super-scale online retailers it only looks set to become a more prominent part of our lives as time goes on. Undoubtedly technologists will continue to come up with ways to more accurately measure and predict our behaviour. They will also use increasingly sophisticated tools to set prices at levels which will appeal to us as individuals, and put adverts in places we are likely to see them. First the arrival of the internet, then Big Data, and now artificial intelligence – all of these have contributed to change what we now call “shopping” into something which would be almost unrecognisable to someone living just a decade or two ago. That pace of change doesn’t seem to be slowing, so shoppers in another 10 years are likely to find that things have changed just as much again.